Scientists are moving closer in a new experiment that aims to produce fuel from carbon dioxide and sunlight. 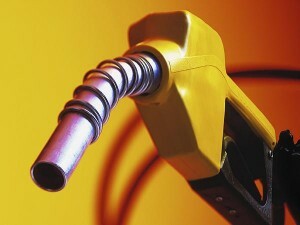 They claim that this new fuel will help meet world’s energy needs and minimize carbon emissions. A team of scientists from the Sandia National Laboratories in Albuquerque, New Mexico is working on this ground breaking work. The new technique is to produce “synthetic liquid fuels” in solar-powered reactors. Various experiments have already shown that the reactors can absorb carbon dioxide (CO2) and convert it into carbon monoxide and the same can also be used to turn water into hydrogen and oxygen. With the help of a catalyst the two can be reacted together to form hydrocarbon fuels. In future scientists hope that CO2 is extracted directly from the air thus contributing to the reduction of carbon in the atmostphere. Atleast this will put a stop to the problem of digging wells and leaving them uncapped! Previous Magnetic Thinking Putty – The new Silly Putty is just silly! Next iPhone 4 uploads being capped by AT&T?